Motorola announced Moto E in india, This is the first phone released after acquisition by Lenovo from Google. Moto E is entry-level phone is priced at INR 6,999. On Specification front, Moto E powered by a Snapdragon 200 dual-core SoC clocked at 1.2GHz with 1GB of RAM. It sports a 4.3-inch qHD (960×540 pixels) display with a pixel density of 256ppi and protected by Corning Gorilla Glass. 4GB internal storage can be expandable upto 32GB using a microSD card. Moto E features a 5-megapixel rear camera, but no front camera, powered by a 1,980mAh battery and On connectivity front dual-SIM card slots, 3G , Wi-Fi and Bluetooth. 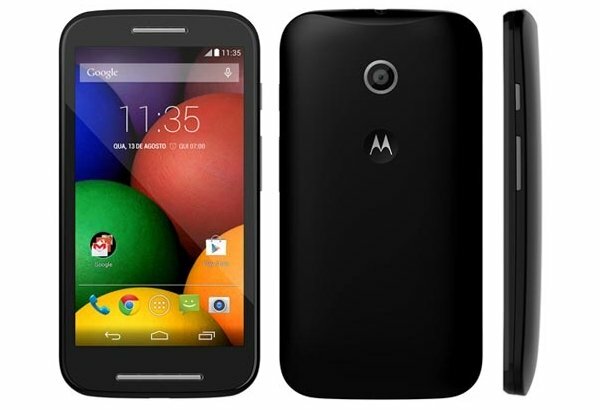 Moto E is running Android 4.4 KitKat, with Motorola guaranteeing that it will be upgraded to the next version. Check out the video by Motorola.